These large trees are a very common sight around SW City and are a nice filler for park and forest-type areas. 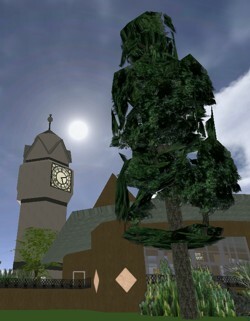 This pack includes 4 files, two 25m trees (two rotations) and two 40m trees (two rotations). Only two rotations are included for each tree because they are easy trees to select and rotate manually. Place the base object where you want the trunk to touch down on the ground.